RWD-5 is a sports and tourist plane, built by a team of RWD constructors (Stanisław Rogalski, Stanisław Wigura, Jerzy Drzewiecki) in 1931. The plane is famous for crossing the Atlantic Ocean. The RWD-5 aircraft was created by the development of the RWD-4 aircraft. 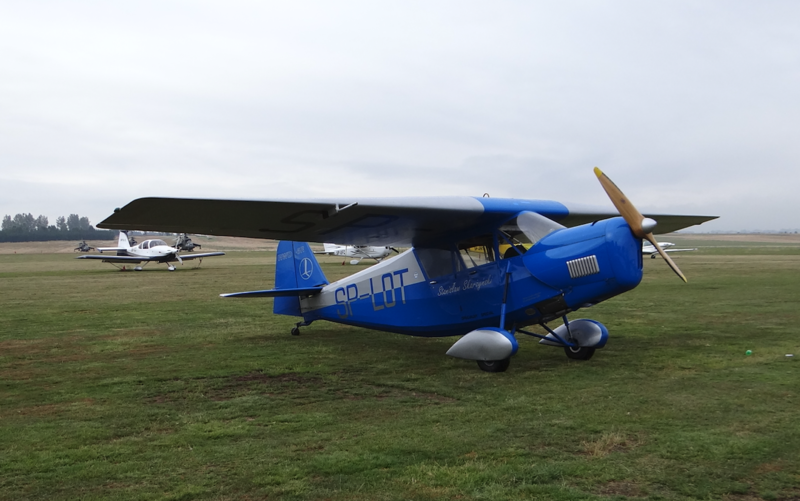 As the first plane of the company RWD received a mixed construction: wood-metal. The fuselage is a spatial structure welded from steel pipes. A motor with hanging pistons was used for the drive. As a result, the visibility from the cab has improved. The prototype received the recognition marks of SP-AGJ and made the first flight on August 7, 1931. Jerzy Drzewiecki sat in the cabin. In August 1931, the pilot Mieczysław Pronaszko on this plane won the first place in the III. Flight of South-Western Poland. From September 25, 1931 to October 1, 1931, the airmen Franciszek Żwirko and Stanisław Wigura, in the IV. National Tourist Plane Competition, won the first place. After these successes, the RWD-5 has been recognized as the best sports airplane in Poland. The serial production of RWD-5 started, but its scale was small. 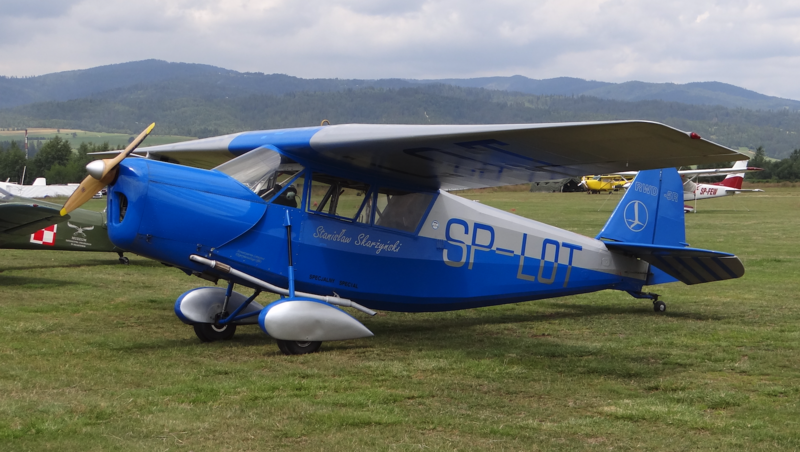 In the autumn of 1932, the first two planes with the SP-AJA "Kolejarz I" and SP-AJB "Kolejarz II" signs were built. 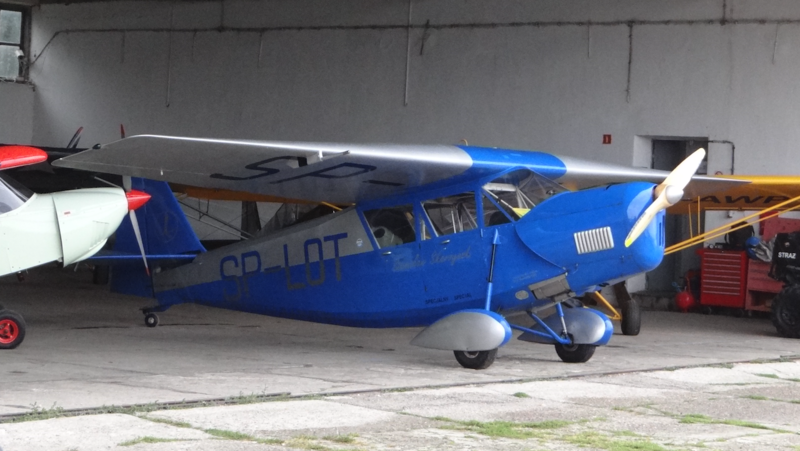 The planes were transferred to the Warsaw Aeroclub, and they were built from the contributions of PKP employees. In the years 1933-1934, another 14 aircraft were built. They received recognition marks: SP-ARP, SP-AKZ, SP-AJP, SP-AJU, SP-LOP, SP-LOT, SP-ALN, SP-ALR, SP-ALS, SP-ALT, SP-ALU, SP -ALW, SP-ALY, SP-ALZ, SP-ALX, SP-AMU, SP-AOB. 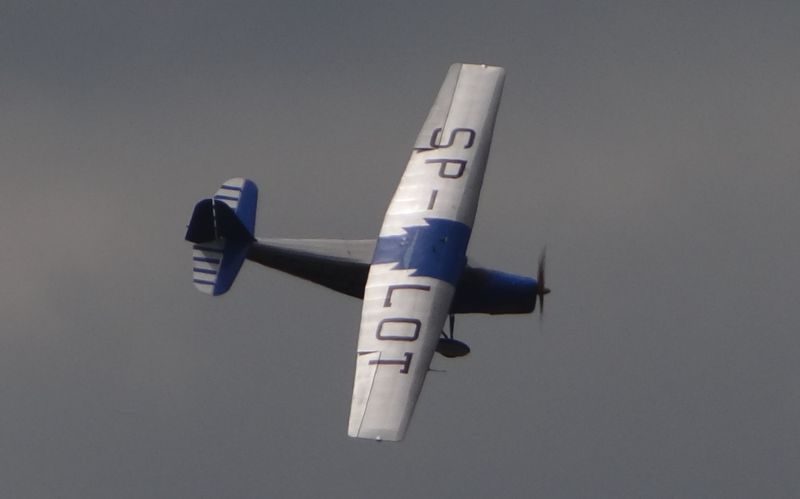 The last plane (SP-BGX) was built in 1937. In total, 20 RWD-5 and RWD-5 bis aircraft were built. 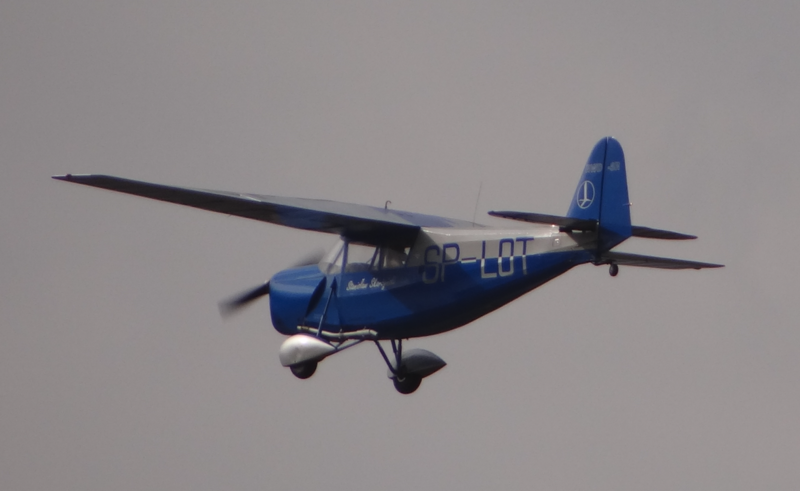 The planes were transferred to the Polish Aeroclub, and one to LOT Polish Airlines. - V. National Air Tourism Competition, September 1933, pilot Mieczysław Pronaszko, first place. - VI. National Air Tourism Competition, September 1936, Places from two to six. The greatest success of RWD-5 planes was the flight of Stanisław Skarzyński across the Atlantic Ocean. In March 1933 a special airplane was built, which was marked RWD-5 bis. He received the SP-AJU identification marks. In the place of the rear cabin, an additional fuel tank was installed, with a capacity of 300 liters, and in the wings two additional tanks of 113 liters each. In total, the aircraft took 752 liters of fuel. On the plane RWD-5 bis pilot Stanisław Skarżyński from April 27, 1933 to June 24, 1933, he made a flight of 17 885 km on the route from Warsaw to Rio de Janeiro. On May 8, 1933, he made a flight, without landing, over the South Atlantic, from Saint Louis in Senegal to Maceio in Brazil. The flight lasted 20 hours 30 minutes, of which 17 hours 15 minutes above the ocean. 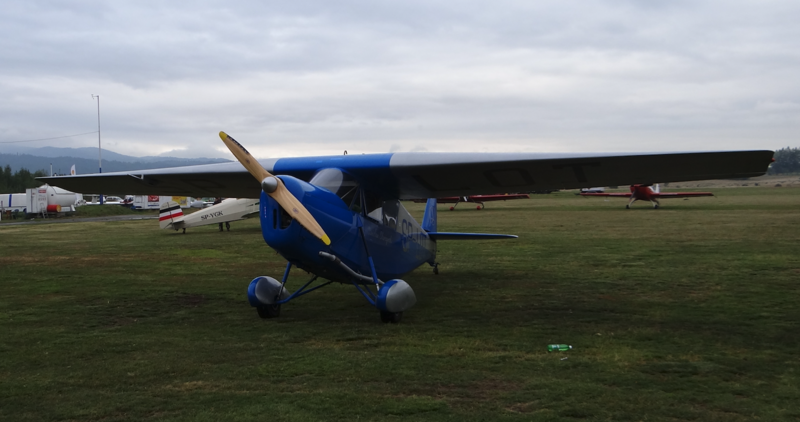 The result of 3,582 km has established an international distance record in the class of tourist airplanes with an individual weight of up to 450 kg. Aircraft RWD-5 bis returned by the ocean by boat. After the record flight, it was rebuilt into a two-seater, removing additional tanks. It was taken over in 1939 by the CCCP army. Until 1939, three RWD-5 planes were deleted. During the defensive war in 1939, planes were used as a liaison. None of the RWD-5 aircraft survived the Second World War. The RWD-5 was correct in piloting. The horizontal ballast was adjusted, which meant that the pilot was not tiring. The lack of flaps behind the wings hindered take-off and landing. RWD-5 R - Replica. 2000. In the 90-ties of the twentieth century, the Association for Experimental Aviation was established. The initiator of this idea was Mr. Eugeniusz Pieniążek, a constructor and pilot. 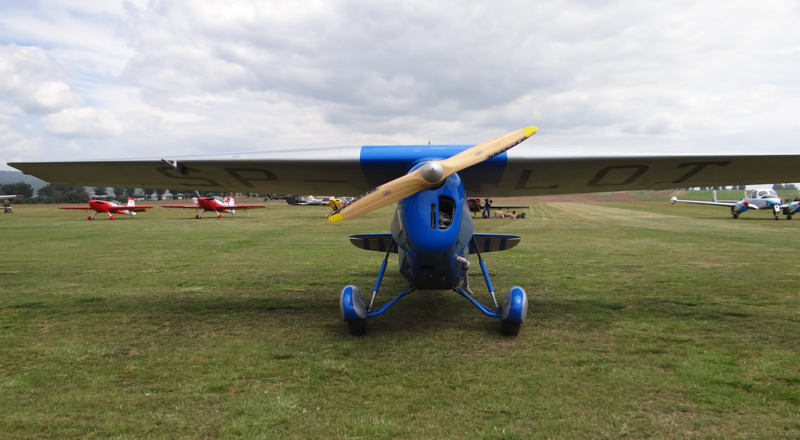 The association set itself the goal of building a flying replica of the well-known Polish aircraft. The choice fell on the RWD-5, because the plane had great sports success and some technical documentation remained. The patron of the program was the "Przegląd Lotniczy" magazine. The cost of building the aircraft was about 500,000 zlotys, not counting the social work of many people. The RWD-5 R aircraft was built in Bielsko-Biała and it was flown at Aleksandrowice airport on August 20, 2000. The pilot was Mr. Bolesław Zoń. The aircraft is presented at several air shows each year. On 1 September 2018, the RWD-5 R SP-LOT aircraft suffered an accident during take-off. The two-man crew was not injured. Bielsko-Biała airport.